The fastest and easiest way to cook black beans is in the pressure cooker. In this recipe, we combine them with spicy, smoky chorizo. The pressure cooker delivers tender, creamy black beans packed with chorizo flavor in under an hour. Sweating the chorizo before adding the beans and aromatics ensures that it releases its fat and adds its flavor to the beans. Read more: Forget Soaking. Use Your Pressure Cooker for Perfect Black Beans in Under an Hour. Heat oil in pressure cooker until shimmering. Add chorizo and cook, stirring, until it releases its fat and starts to crisp, about 2 minutes. Add beans, onion, garlic cloves, orange, bay leaves, chicken stock, and 2 teaspoons salt. Cover and cook at high pressure for 40 minutes. For extra-tender and creamy beans, allow pressure to release naturally. 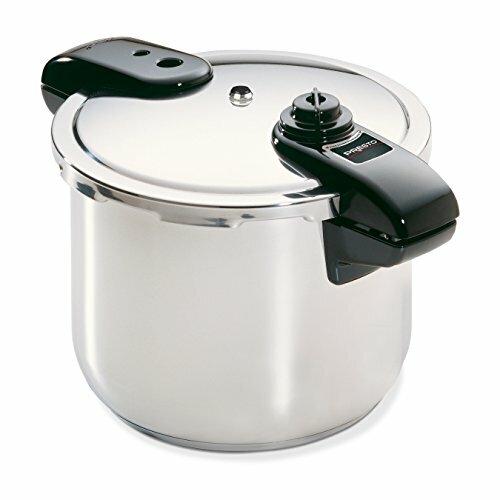 For firmer beans, use quick-release valve on an electric pressure cooker, or run a stovetop pressure cooker under cold running water until pressure dissipates. Remove lid and discard onion, orange, and bay leaves. Season to taste with salt and serve. Sprinkle with fresh cilantro at the table. In place of chorizo, you can use any type of firm, cured sausage, such as andouille, kielbasa, pepperoni, or salami. Forget Soaking. Use Your Pressure Cooker for Perfect Black Beans in Under an Hour.